When operated in an A500+ computer, the A512 will be used as Chip ram, and two of these expansions can be cascaded to reach the maximum configuration of 2MBytes graphics memory (1 MByte on the main board, and 1 MByte in the trapdoor slot). The pass-through port is compatible with any other 512k trapdoor expansion, as long as it fits mechanically. The A500+ on-board RTC is only switched off if the RTC module has been installed on the A512 card. 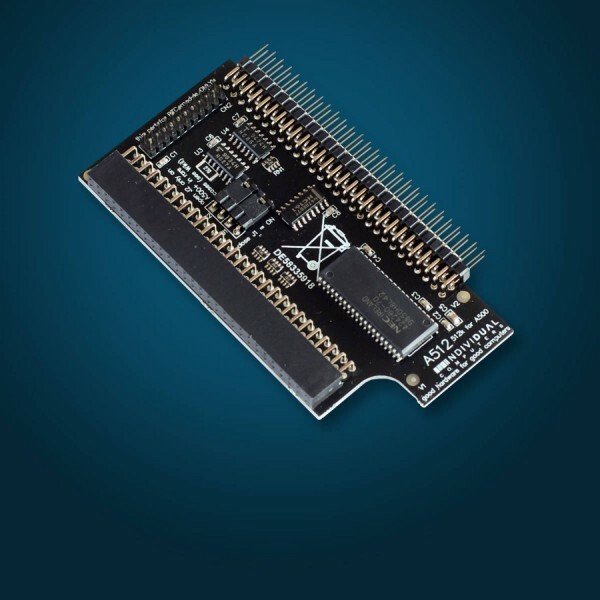 The A512 memory expansion is compatible with all motherboard revisions from Rev.3 to Rev.8, including the A500+.